A few years ago, I walked into the kitchen and saw a tiny brown mouse eating from Cricket’s food bowl. 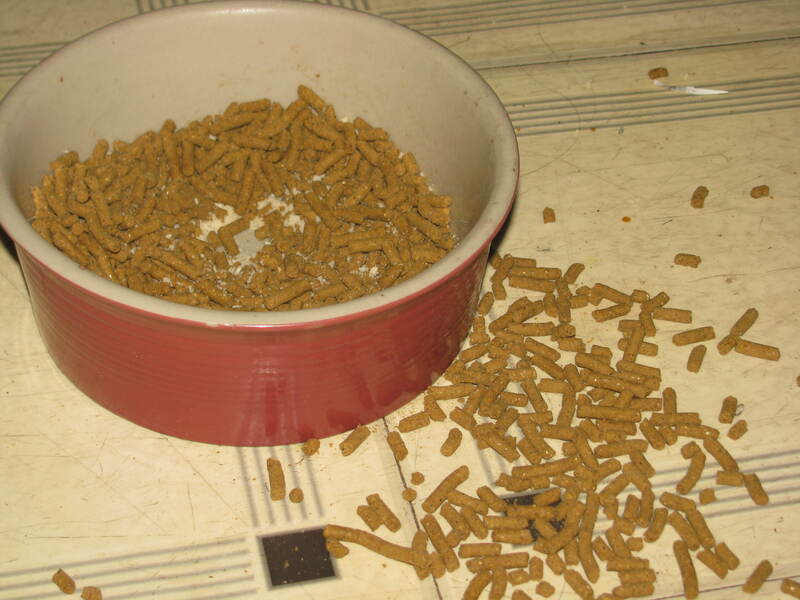 Cricket had left half of her breakfast scattered on the floor around her bowl, trusting that she could come back to it later if nothing better came up in the mean time. But there was this tiny brown mouse, holding a twig of her dry food in its hands and getting ready to nibble. I wasn’t sure what I was seeing at first, because I’d never seen a mouse stand still like that, not with a human and a dog nearby. Finally, Cricket stepped forward and gave a low growl. Not the bark she’d have handed the mail man, but a warning none the less. And the little mouse backed up, dropped the food, and ran away. Clearly it was a baby mouse, just learning the run and hide rules of the tribe. There may have been mice over the years, but I hadn’t seen them again, until I recently noticed mouse droppings in the corner of my bedroom, near the stairs. Then mom heard scritch scratching overnight in her room. And then we saw a brown mouse scamper behind the plant table in the kitchen. So Mom went to the store to buy mousetraps. Once, when I was a kid, we had a glue trap. The guy at the store had recommended it as more humane than the regular mousetrap, but then I saw a mouse caught on the glue. It was still alive, but struggling to get free, and with each movement it became more trapped. I almost threw up, and then I cried inconsolably. Mom promised me she’d never use a glue trap again, but she made no promises about regular traps. Because you’re just not supposed to accept having mice in your house. It’s not clean, or healthy, or polite. Mom put out the new traps, but because we hadn’t used them in years, she’d forgotten how to set them correctly. She placed one on a paper towel and shoved it under the plant table, and the next thing we knew, Cricket had pulled the paper towel out and eaten the cheese, leaving the trap unsprung. The way Cricket barks at humans and chases squirrels outside of the house, you’d think she’d notice, and mind, the presence of tiny interlopers, especially near her food or by her bed. But she hasn’t been barking at them. They must have been around for months before we noticed, and she never told us. I wonder if she’s friends with the mice behind our backs, bringing them food, tossing them a ball every once in a while, acting as guard dog for them when humans come near. But maybe they’re just too small to seem like a threat to her. She doesn’t bark at ants either. 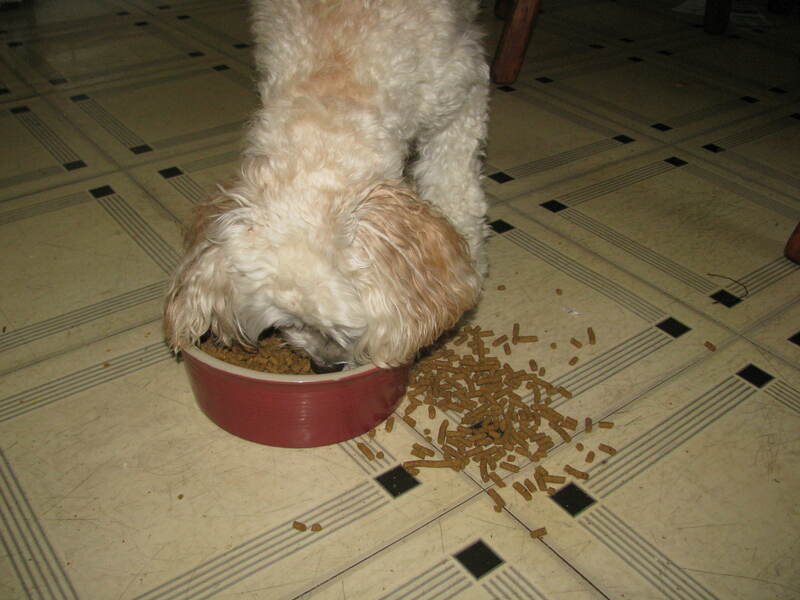 Posted in dogs, memoir and tagged dogs, family, humor, memoir, mice, mousetraps, women. Bookmark the permalink. I’m afraid if I had a cat, it would start gifting me with dead mice, the way Cricket brings pieces of chicken skin to bury in my chair. With three cats, I don’t have any mice issues but is sounds like Cricket has some inside friends. I worry sometimes that she’s too lonely. Mouse friends are better than no friends, right? I’ve never seen a glue trap, but it sounds horrible! It’s surprising how much noise mice can make in the night. I have a theory that the mice have a big fiesta in the middle of the night. During the Olympics they were practicing their gymnastics skills, vaulting onto the radiator and swinging from the curtains. I’m almost certain. Cricket sometimes believes she is a cat, or at least has crushes on cats in the neighborhood. They are closer to her size than the eighty pound German Shepherd on the corner who is in love with her. But even if she were an actual cat, I can’t picture her taking care of the mouse problem. She’d just jump on my lap and say, mommy, you deal with it.